It’s all about life really. Ever since humans walked out of the cave we’ve had a burning desire to work out what this thing called life is all about. We want to classify, label, characterise and put things neatly on a shelf. To understand the biochemical processes of life it’s often thought that one of the best ways of doing this is to look at a simple organism like a microbe rather than more complex organisms like humans. Plus humans generally don’t like to be prodded and poked around. Microbes are a good subject for this kind of research because they share some of the same properties as complex organisms, such as amino acid biosynthesis, as well as having many unique properties. But there’s problem here in that only 1% of microbes can be cultured in a lab. The solution is metagenomics, an increasingly popular way of extracting the genomes of micro-organisms. 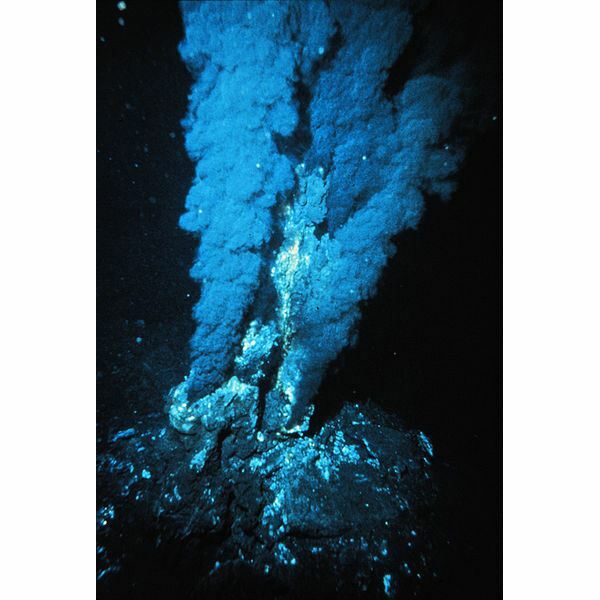 Microbes are the most successful organisms on the planet and can survive and thrive in a whole range of seemingly inhospitable environments; in deep sea hydrothermal vents for example. They are amazing specialists that have adapted successfully to many ecological niches. So there’s a vast array of genes out there that we know nothing about that have created this diversity. In metagenomics researchers study the DNA of entire communities of microbes. The first step is to extract the DNA from all the microbes in a particular environmental sample, and that could be millions. The DNA is then cloned and transferred into model microbial organisms in the lab where they can be sequenced or induced to make proteins. Metagenomics really does have the power to transform our understanding of life on Earth. Communities of microbes are studied because that’s where most of the microbial functionality is expressed. By bringing together many disciplines, scientists could work together to understand all the microbial environments on Earth. For example the environment of the human body, or the environment of a fresh water lake or life underground in the soil.